South Indian Actresses are some of the most talented actresses in India. Many of these actresses have also set foot in Bollywood. We have seen many beautiful actresses making their debut in south Indian Movies. 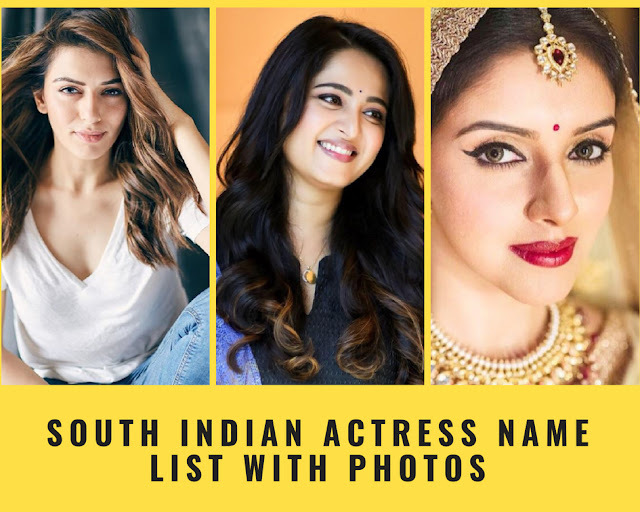 Today we bring you Top 10 South Indian Actress Name List with Photos. Hansika Motwani is a popular actress in south Indian cinema. She has predominantly acted in Tamil films. She has also acted in a few Telugu, Malayalam and Hindi films. She started her acting career as a child artist working in quite a few popular TV shows and films. Check out Hansika Motwani Profile here. Shruti Haasan is the daughter of a popular south Indian actor Kamal Haasan. She herself is one of the most popular actress in South Indian Cinema. She has mostly acted in Tamil, Telugu and Hindi films. Some of her popular hindi films are Gabbar is Back and Welcome Back. Check out Shruti Haasan Profile here. Asin is a popular Indian actress who started her career with south Indian films and then later moved to Bollywood movies. She made her Bollywood debut with the hit film Ghajini in 2008. She is member of the Bollywood 100 crore club. Check out Asin Profile here. Tamannah Bhatia is a popular south Indian actress who has mostly appeared in Tamil and Telugu films. She made her debut with the Bollywood film Chand Sa Roshan Chehra in 2005, when she was just 15 years of age. Check out Tamannah Bhatia Profile here. Ileana D'Cruz started her acting career with the South Indian Cinema. She has mostly acted in Telugu films. She was lately seen in Hindi films like 'Mubarakan', 'Baadshaho' and 'Raid'. Check out Ileana D'Cruz Profile here. Kajal Agarwal is an established actress in Telugu and Tamil films. She made her acting debut with the Hindi film Kyun! Ho Gaya Na in a supporting role. She was also seen in popular hindi films as lead actress in Singham and Special 26. Check out Kajal Aggarwal Profile here. Trisha Krishnan is a popular Indian model and actress who has established herself in the south Indian film industry. She has mainly acted in Tamil and Telugu films. Before her debut she won the Miss Madras contest. Check out Trisha Krishnan Profile here. Samantha Ruth Prabhu has emerged as one of the leading actress in south Indian cinema. She has predominantly acted in Telugu and Tamil films. She has won many awards for her amazing acting skills. She has won the Filmfare award 4 times till now. Check out Samantha Ruth Prabhu Profile here. Nayanthara is a very popular South Indian Actress who has mostly acted in Tamil movies. She is best known for her roles in popular films like Chandramukhi, Dubai Seenu, Tulasi, Billa. She is famously called as the Queen of Kollywood. 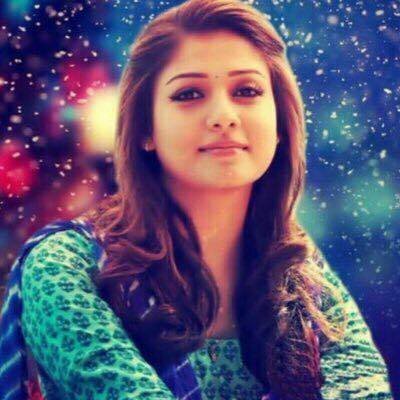 Check out Nayanthara Profile here. Anushka Shetty is the most popular South Indian Actress, who has predominantly acted in Telugu and Tamil films. She is best known for her movies like Vikramarkudu, Baahubali and Lingaa. Check out Anushka Shetty Profile here.